Megan Lacombe captained a team of incredible volunteers to help run the Kids Discovery Challenge at the 2013 Charley Ride. Megan came up with a series of wacky challenges that kids had to complete, from figuring out a secret code to building structures out of fun, messy materials. 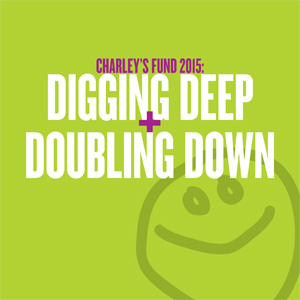 Kids got sponsors who supported Charley’s Fund with a donation for each challenge completed. Megan recruited and trained all the volunteers and worked her magic with the kids who participated. She better be back next year because the Charley Ride would not be the same without her!